A simple but dignified flag hoisting ceremony was held on 23rd March 2019, at the High commission for Pakistan, Canberra to mark Pakistan Day. The ceremony commenced with recitation from the Holy Quran, followed by playing of national anthem which was also sung along by children. 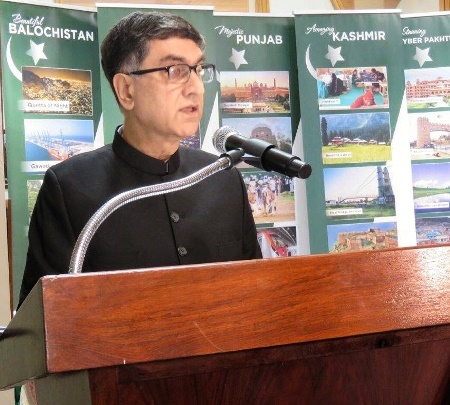 The flag was hoisted by the High Commissioner Babar Amin, after which messages of the President and the Prime Minister for the occasion were read out. Speaking on the occasion, High Commissioner Babar Amin said that, under its current reforms agenda, the government has identified socio-economic justice, rule of law, transparency, promotion of merit-based policies, employment generation and elimination of corruption as its prime targets. He added that, the government has also introduced necessary structural reforms which are expected to boost industry, agriculture, services of education, healthcare, tourism and other sectors which would result in the rapid and extensive economic turnaround. The investors’ confidence has been boosted providing a sound and reliable basis for FDI and enhanced trade and commerce. The High Commissioner Babar Amin offered heartfelt condolences over the loss of precious lives, including 9 Pakistani citizens, in the horrific terrorist attack in Christchurch. He appreciated the people of New Zealand and Australia for reaching out to the Muslims community to bring succour in anxiety and pain caused by the attack. Special prayers for peace, progress and prosperity of Pakistan and victims of the Christchurch shooting were offered. Referring to the recent tensions in South Asia, the High Commissioner highlighted the maturity and restraint shown by the Pakistan leadership for the sake of peace and stability of the region and the world. 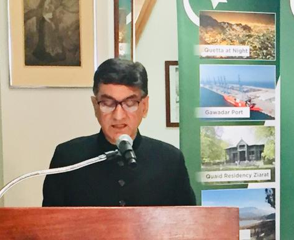 While appreciating the Pakistani community for its positive contribution to the development of Australia, he urged them to continue to play its role in acting as a bridgehead in fostering closer relations between the two friendly countries. The High Commissioner expressed satisfaction over the status of bilateral cooperation. The event was very well attended by a large number of community members from Canberra, Sydney; training defence forces officers attending courses here in Australia. To mark the auspicious occasion of Pakistan Day, a reception was hosted at the High Commission for Pakistan Canberra. 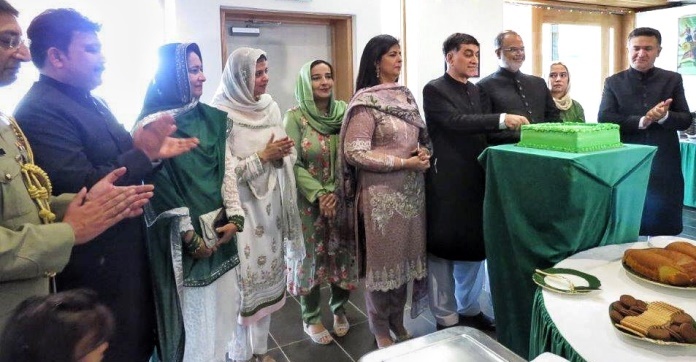 The High Commissioner Babar Amin, senior officials of the Embassy along with their spouses greeted the guests. The reception was a very well attended event in which a large number of members of Diplomatic Corps, Parliamentarians, Officials from the Department of Foreign Affairs and Trade, other high ranking Australian government officials, senior officers from the Australian Armed Forces, local intelligentsia, media representatives and dignitaries participated. In his remarks, the High Commissioner recalled the historic struggle for Pakistan’s freedom and emphasized that the democratic ideals and values espoused in the Lahore Resolution of 1940 guided the Muslims of the Sub-Continent to independence in 1947. The High Commissioner lauded the close, cordial and mutually beneficial bilateral relations between Pakistan and Australia. The two countries he said, maintained a comprehensive partnership in the fields of socio-economic development, agriculture, health, education, defence, security and development assistance. The High Commissioner also highlighted the people-centric development, justice, employment generation and better opportunities for the deprived to be among the top priorities of the Government. He stated that Pakistan was poised to become a regional economic power as economists regard it to be the catalyst for the future regional economic integration and development. The High Commissioner offered heartfelt condolences over the loss of precious lives, including 9 Pakistani citizens, in the horrific terrorist attack in Christchurch. He appreciated the people of New Zealand and Australian for reaching out to the Muslims community to bring succour in anxiety and pain caused by the attack. The High Commissioner highly commended the positive contribution and fervor of the Pakistani Australian community. He urged the diaspora to continue playing its role as a bridgehead between the two countries. The Australian Military Band played the national anthems of Pakistan and Australia, while the children sang along in chorus. 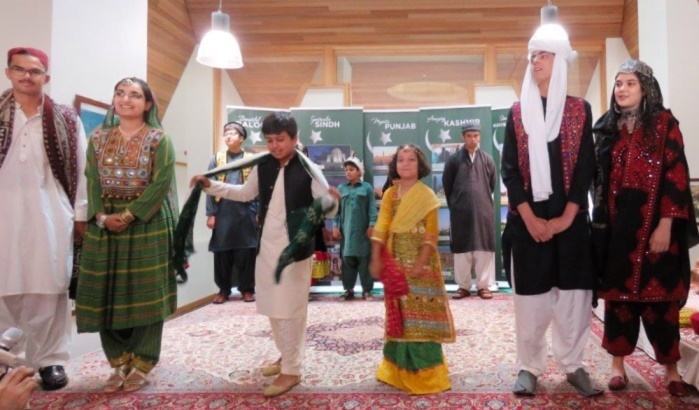 Later the children attired in dresses depicting various regions of Pakistan presented tableau's on folk and national songs, which, was highly commended by the guests.